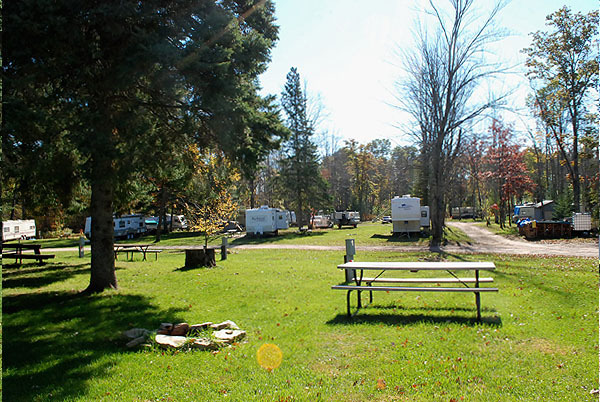 Curve Inn Resort has a nice full featured year around seasonal RV campground and extended stay motel conveniently located on High Falls Flowage just 15 minutes west of Crivitz, Wisconsin. 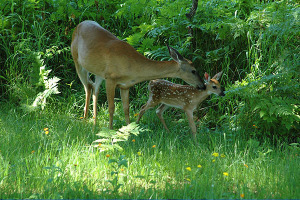 The RV Campground offers beautiful wooded sites with water and electric hook-ups, picnic tables and fire pits. RV campground sites are rented on an annual basis, and are open year-round. Firewood and ice are available on-site. The extended stay/monthly rental motel offers clean rooms with a kitchenette and full bathroom. The location is spectacular. We are nestled next to the Peshtigo River State Forest which surrounds the High Falls Flowage. 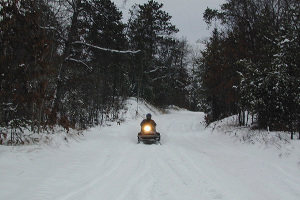 From the RV campground you can walk or snowmobile a very short distance and be on the flowage. We are just minutes away from Twin Bridge and Veterans Parks, two gems of the Marinette County Park System. Boat Landings 2, 3 and 5 on High Falls Flowage are right down the road. Caldron Falls Flowage and the Governor Tommy G. Thompson State Park are just two miles away. If you need to run for supplies, Crivitz, WI is only 12 miles away. One can enjoy a variety of outdoor recreational activities any time of year, here in the Twin Bridge, WI and Crivitz, Wisconsin area. 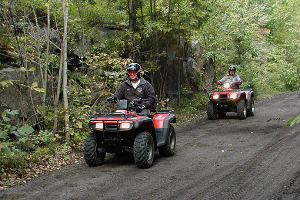 We are on the Iron Snowshoe snowmobile trails and you can ride your ATV or UTV right from the campground to the trail system. Glenn Goetz, owner of the Curve Inn Resort offers you a clean motel and nicely wooded seasonal RV campground. On site there is also a complete bar & grill that is managed separately. They are well known for having very good pizza, broaster chicken, homemade soups, and char-broiled burgers. They have multiple TV’s to keep you up to date on your favorite game or race, a dance floor, CD juke box, pool table and games for the whole family to enjoy. We hope to see you soon at Curve Inn Resort! The Curve Inn Resort is conveniently located 12 miles northwest of Crivitz Wisconsin on the spectacular High Falls Flowage. The Curve Inn Resort is part of the NorthernDestinations.com family of Northern Wisconsin web sites.